With a unique size and style reminiscent of the larger Grand Cherokee, the Compass slots itself into the Jeep lineup well and caters to a wide variety of drivers who are looking for the best of both worlds! 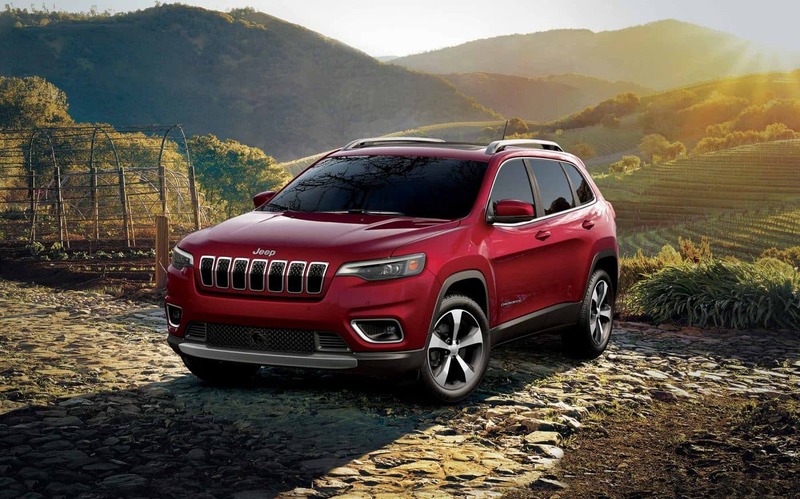 The Compass offers the best-in-class off-roading capability, rambunctious and efficient powertrains, authentic Jeep design and capabilities, innovative safety features, and so much more! Jeep has brought the Compass forward into the 2019 model year with new features and advancements. Standing out are two brand new packages: the Upland Special Edition and High Altitude Appearance, a brand new exterior color, and a larger standard infotainment touchscreen interface! We have so much more to talk about so keep reading to learn more about the 2019 Jeep Compass. Can you tell us about the new features and packages? Jeep will continue to offer the Compass in four trim levels for the 2019 model year. They include the base Sport, mid-range Latitude, top-of-the-line Limited, and the off-roading Trailhawk. There are a total of 11 (that's right 11!) exterior colors options available for the 2019 model year including the brand new addition: Sting Grey. The new Upland package is available for the Sport model. It outfits the trim with features like a Gloss Black roof and grille, Satin Gloss Granite surrounds, black fog lamps bezels and badges, bright chrome exhaust tip, and silver anodized interior accents. This package even includes some features from the Trailhawk model like Matte Black tow hooks, skid plate, and front suspension! The High Altitude Appearance package -- offered on the Limited models-- outfits the trim with features like LED lighting, a Satin Gloss Granite grille, an 8.4-inch touchscreen interface, deep-tint glass, a Gloss Black roof, and anodized and tungsten interior accents. What kind of powertrain options does the Compass offer? There are a total of 17 powertrain configurations available for the 2019 Jeep Compass. Under the hood you will find the 2.4-liter Tigershark engine that is incredibly fuel efficient, delivering the best in class 4x4 fuel economy at 31 miles per gallon when cruising down the highway (with the manual transmission). There are three transmission options available for the 2019 model year. Both FWD and 4WD models pair this engine with the standard six-speed manual transmission. If you are looking for an automatic transmission there are two options: a six-speed is available for FWD models while a nine-speed is offered for 4WD models. The Selec-Terrain system enhances the Compass' capabilities with four modes: Mud, Sand, Snow, and Auto to help you tackle whatever may come your way! The Trailhawk model kicks up the capability with features like Active Drive Low and a 2,000-pound towing capacity. Will the 2019 Compass offer any safety or security features? While you are out blazing new trails or navigating the urban jungle the Compass helps you stay safe and secure with the latest in-vehicle safety and security technology and equipment. Stand out features for the 2019 model year include Forward Collision Warning with Active Braking -- helps you avoid potential front collisions and if you don't respond to the warnings the system will automatically engage the brakes, the Security Alarm -- keep intruders out of your vehicle or draw attention to yourself if needed with the panic button on the key fob, and the ParkSense rearview camera -- running over toys left in the driveway and minor scrapes in the parking lot are a thing of the past thanks to the incredible camera! There are so many more features to find, both standard and available, to help you and your passengers stay safe along the journey! The 2019 Jeep Compass is a one-of-a-kind vehicle that is ready to join you on all your latest adventures and beyond! Are you interested in learning more about the 2019 Compass and all that is has to offer from powertrain options to interior and exterior features? Give our knowledgeable sales department a call at 844-284-7221 or fill out the provided contact form below!